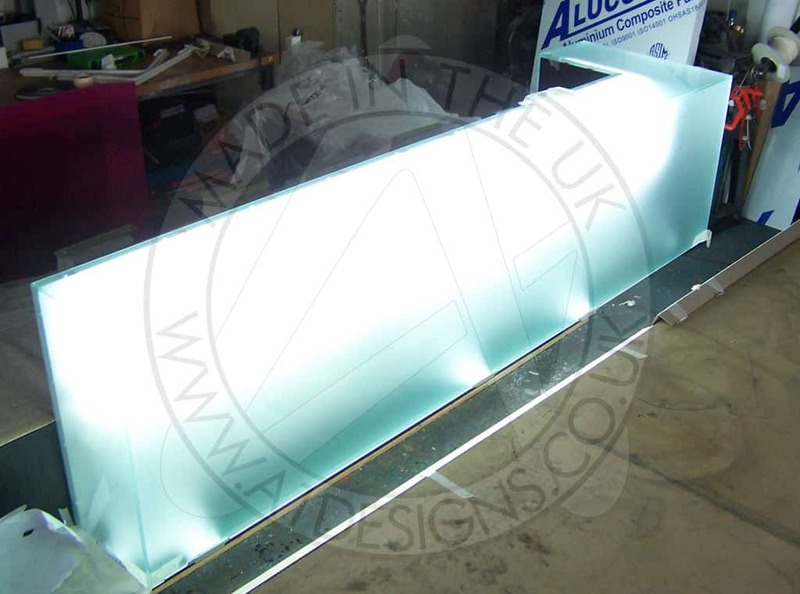 When it comes to UV bonding, A1deSIGNS is the company you can depend on to deliver a quality piece. Our UV bonding services are highly sought after throughout the UK, making us one of the leading choices for this type of service. From display cabinets through to glass furniture, our UV bonding technology allows us to deliver a range of finishes. Glass to glass, plastic to glass, wood to glass and metal to glass are all possible. If you you’d like additional information on the glass bonding services that we offer throughout the UK, please take the time contact us and speak to a member of our team. We’re always here to take your call, deal with any enquiries and answer any questions that you may have regarding any of our services. UV Bonding is a fantastic way to create clean and luxurious display areas for the interior of your business. A major part of your branding and appeal is through the internal presentation of your company. For instance, having your marketing materials on display on a table can look messy, however, displaying these in a UV bonded glass display cabinet can present your company as professional and give an impression of high quality, attention to detail. 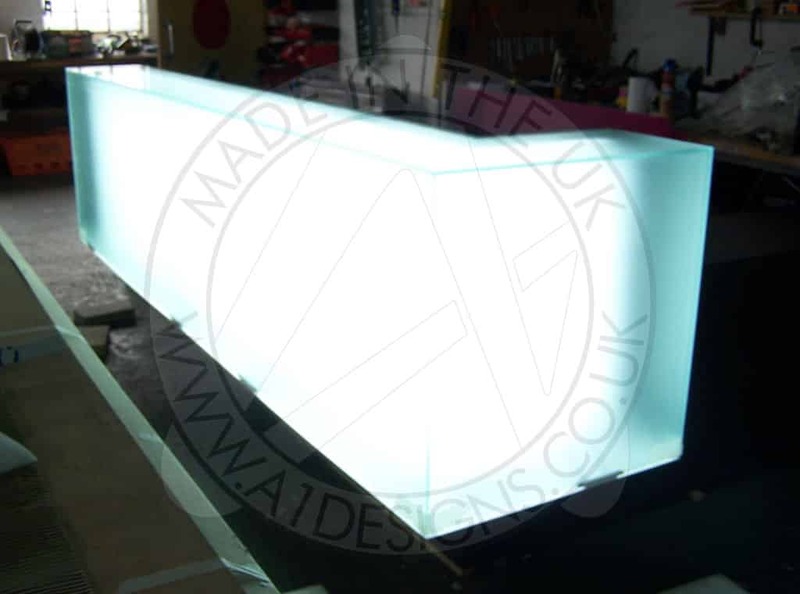 You can use UV bonded glass furniture for an array of elements in your business or workplace. From presenting marketing materials to displaying food and drinks. 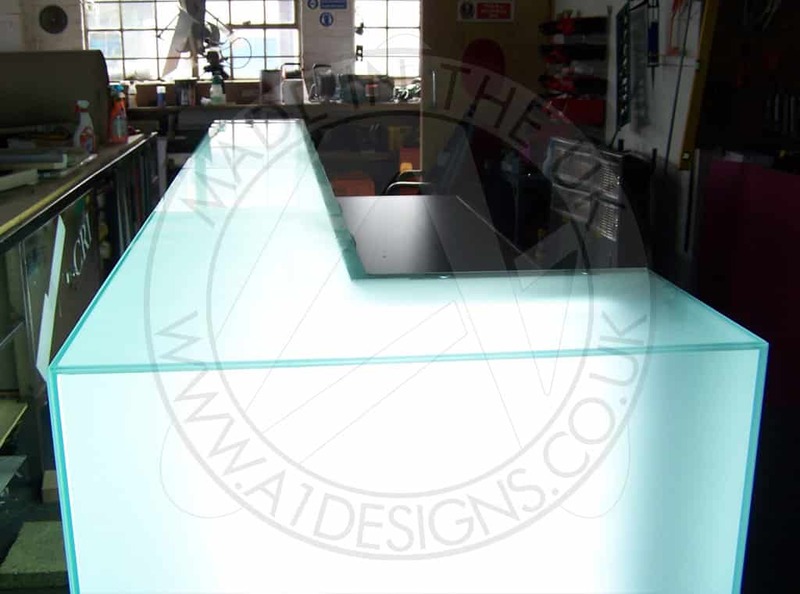 One of our most popular requests for UV bonded glass furniture is to create bespoke glass tables for reception areas, meeting rooms and boardrooms. These give a particularly high class finish and a visual impact that are second to none. If you want to create a workspace that showcases your brand, quality of work and more, in every corner of your commercial building, then look no further. Glass bonded furniture will help you achieve that. 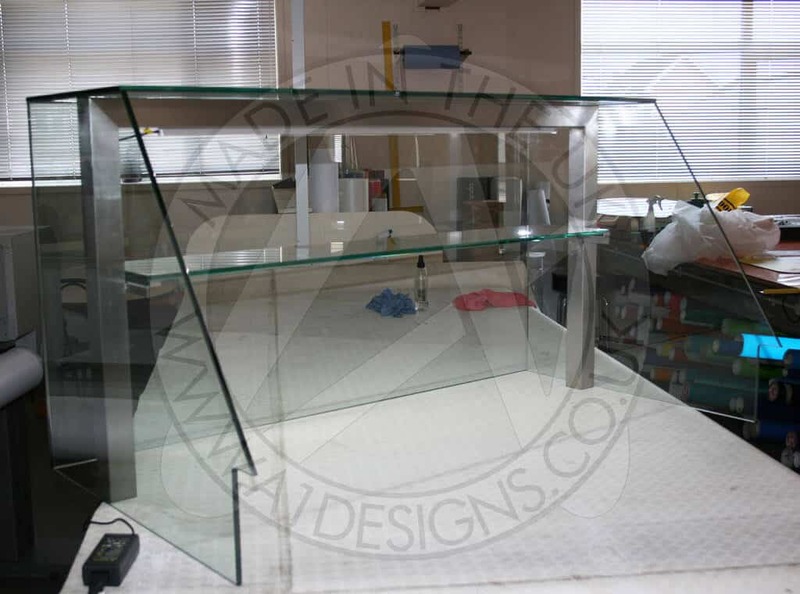 Another of our most popular requests is for bespoke glass display cabinets. These are popular thanks to the impact of accreditations. When a company receives awards or accreditations for their work, they want to showcase them in a stylish way. 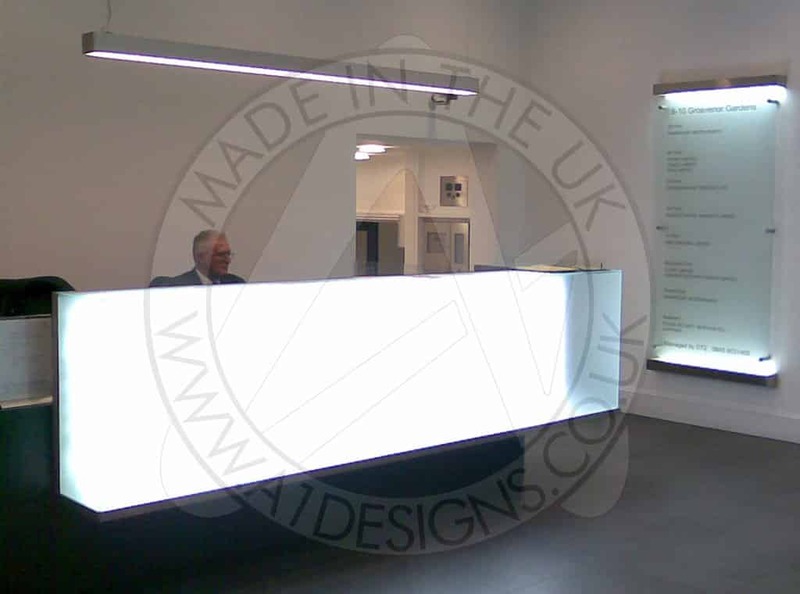 Whether this be in an entrance way or boardroom, uv bonded glass display cabinets can provide you with your perfect platform to showcase your achievements so far. 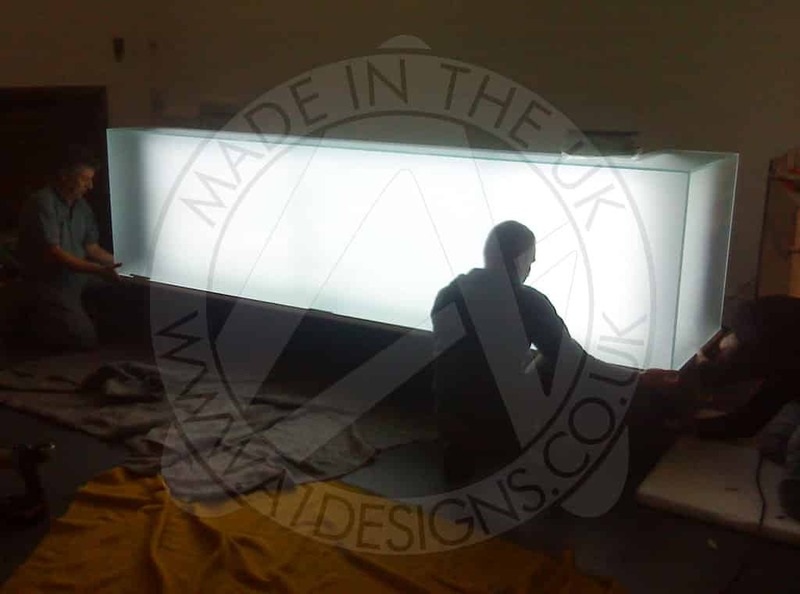 Installing UV bonded glass furniture in your workspace is a great way to give it an uplift, refresh the interior and showcase your company in the best possible light.